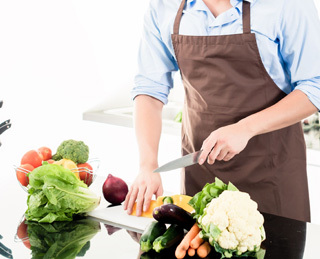 Our Plant Based Whole Food Cooking Class is 1 day program at the Wellness We Care Center. This one-day class is about learning and practicing how to cook PBWF (Plant Based Whole Food) recipes without using oils in our daily life. You will learn the concepts and related scientific evidence for clear understanding how PBWF massively contribute to prevention and reversal of NCDs (Non-Communicable Diseases). You will also enjoy easy techniques in creating a variety of delicious dishes by your own. In addition, you will learn how to choose naturally sourced ingredients, how to use kitchenware and measuring equipment correctly. You will get started with briefing by Dr.Sant Chaiyodsilp, then taught and live demonstrated by professional chef from Pranaa kitchen. Remark: Time table and activities may be changed properly without upfront notice. Our Plant Based Whole Food Cooking Class program will be held at the Wellness We Care Center. Located in Muak Lek Valley, the center offers a range of services to boost holistic living. As a participant, you can travel by your own car or van or by train to Muak Lek.